Learning is the act of acquiring new or reinforcing existing knowledge, behaviors, skills or values. Humans have the ability to learn. With the progress in artificial intelligence however, machine learning has become a resource which can augment or even replace human learning. Learning does not happen all at once, but it builds upon and is shaped by previous knowledge. To that end, learning may be viewed as a process, rather than a collection of factual and procedural knowledge. Both human as well as machine learning generate knowledge, one residing in the brain the other residing in the machine. This fact raises the question how we apply what kind of knowledge and how we balance these knowledge resources for optimal results. The following discussion hopefully provides some guidance how we can assess this balance keeping in mind that further progress in machine learning and brain research will impact this discussion. Motivation is important for human learning. Generally, one differentiates between intrinsic and extrinsic motivation. Intrinsic motivation is involved when one does something because one enjoys it or finds it interesting, extrinsic motivation when doing something for external rewards or to avoid negative consequences. Learning within the context of extrinsic human motivation is closely coupled with formal education and the aim of our teaching institutions to transfer knowledge as efficiently as possible to meet the requirements of employment within various business sectors. Remembering/Memorizing defined as the knowing of previously learned material or retrieving, recognizing, and recalling relevant knowledge. Understanding defined as being able to comprehend facts by comparing and interpreting main ideas within the learned material. Applying defined as the ability to use learned material in a new or unprompted way of abstraction and to solve a newly defined problem. Analyzing defined as the ability to examine a problem area and identify the various components (breaking the problem down). Evaluating defined as the ability to make judgments based on criteria or standards or to combine parts to form a new concept or idea. Creating defined as the ability to integrate learning from different areas into a plan for solving a problem and to propose alternative solutions. Machine learning has become a rapidly growing subset of artificial intelligence (AI) research. The application of so-called neural network software, mimicking functions of the human brain, coupled with the availability of low-cost massive computational hardware resources, provides opportunities to solve problems which in the past have relied on human brain-power. Huge data pools (big data) consisting of medical or financial information, picture libraries or information about customer behavior to name just a few, are processed with various types of highly complex algorithms to produce digital knowledge without conventional programming. Increasing the number of neural layers, so-called deep learning has become a main driver for AI progress. Various applications such as image/object recognition, speech recognition or language comprehension and automated report writing are based on machine deep-learning neural networks and the list is growing. In supervised learning the algorithms make predictions based on a set of examples. For instance, historical stock prices can be used to provide guesses for future prices. Each example used for training is labeled with the value of interest—in this case the stock price. A supervised learning algorithm looks for patterns in those value labels. It can use any information that might be relevant—the day of the week, the season, the company’s financial data, the type of industry or the presence of disruptive geopolitical events. After the algorithm has found the best pattern, it uses that pattern to make predictions like tomorrow’s stock prices. In unsupervised learning data points have no labels associated with them. Instead, the goal of an unsupervised learning algorithm is to organize the data in some way or to describe its structure. This can mean grouping it into clusters or finding different ways of looking at complex data so that it appears simpler or more organized. From that data we might be able to extract knowledge which we were previously unaware of. In reinforced learning the algorithm gets to choose an action in response to each data point. The learning algorithm also receives a reward signal a short time later, indicating how good the decision was. Based on this, the algorithm modifies its strategy in order to achieve the highest reward. Reinforcement learning is common in robotics, where the set of sensor readings at one point in time is a data point, and the algorithm must choose the robot’s next action. Machine learning is complex and difficult to comprehend partially due to the strong expertise required in mathematics and probability theory. Consequently, progress in machine learning is driven by a few teams with the best ‘brains’ worldwide working in research institutions or being employed by the large tech giants like Google, Microsoft, Amazon, Apple etc. One key driver of advancements in machine learning is brain research and new computational models of brain functions which can be used to define new algorithms. From the points raised so far, one can conclude that the results of level 1 (memorizing knowledge) and 2 (understanding and comprehending) of human learning as defined by ‘Bloom’s Taxanomy’, can also be achieved by means of supervised machine learning. It is proven that machine-based knowledge at level 1 and 2 far exceeds the capacity of the human brain. Consequently, humans tend to increasingly rely on machine-based knowledge with the added advantage that there is no retention problem as this knowledge is always accessible ‘on-line’. Going further up the learning ladder to level 3 (applying and abstracting) and 4 (problem analyzing), the combination of human and machine learning knowledge represents ‘state-of-the-art’ in various business segments. For example, in health care where analyzing symptoms of illnesses with a machine learning system crunching through massive medical records determines the probability which illness might cause the problem. The decision how to proceed is still left up to the person responsible for the cure. In an initiative based on its WATSON cognitive machine learning platform, IBM in cooperation with a number of health clinics and hospitals, has made significant progress to offer such diagnostic services to doctors including a list of the drugs or treatments currently available to cure the problem. Level 5 (judging, evaluating) and level 6 (creating, problem solving) rely mostly on human brain knowledge, as their learning space requires cross links to social and other value systems which are not yet mapped with machine learning knowledge. Intuition, consciousness and awareness play an important role in leadership decision making, however simple decisions will be more and more outsourced to machine learning knowledge at level 1 to 4 of the learning hierarchy. What educational research clearly suggest is, that to be effective in learning and applying level 5 and 6 knowledge, humans have to comprehend the entire knowledge hierarchy. 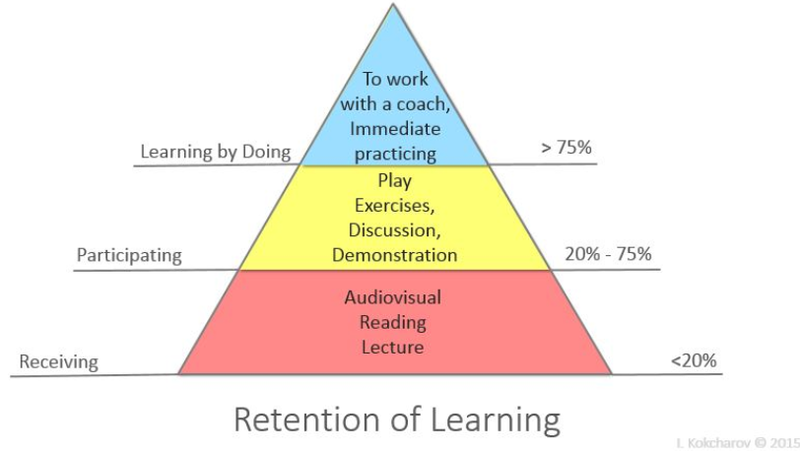 The process of memorizing as learned at level 1 is a prerequisite for all other learning activities. Consequently, humans have to keep their memorizing brain activity in good health in order to be fit for level 5 and 6 knowledge comprehension. Interactive brain-training as provided by a number of companies is possibly one way to improve our learning capacity. Sport activities, sleep, healthy diets, reading or meditation provide other means to support brain health. 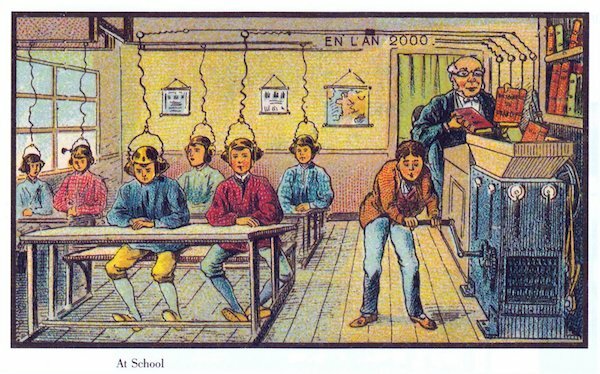 Learning has been valued by humans for hundreds of years. The invention of printing in the 15th century by Johannes Gutenberg, initiated the democratizing of knowledge and information with an ever-increasing momentum. With the internet the distribution of knowledge and information has reached a new dimension. The development of interactive computer-based courses (MOOC’s) for formal education has created a marketplace accessible by anyone, where only the best courses will prevail. As these courses are typically produced by universities and their teaching staff, the quality of the courses is closely linked to the reputation of the university. With machine learning a new tool has emerged, which is likely to raise our capacity to learn if applied in an ethically responsible way. Educators and policy makers must get involved in the discussion as how to best apply machine learning in combination with human learning. The consequences are far- reaching as continuous brain research will advance machine learning over the years to come.